We help you to consult and hire the best Supreme Court & High Court Builder Disputes lawyers in Jaipur. Use filters to narrow your search and find the best advocate in Jaipur, whether its a family dispute or divorce lawyer, property lawyer, employment or labor court lawyer, criminal lawyer, recovery or cheque bounce lawyer, taxation or corporate lawyer, or a lawyer expert in any other field of law. Need help to find the best Builder Disputes lawyers in Jaipur? A home buyer under jaipurn laws can resort to various provisions under civil, criminal and consumer laws if deceived by the builder in any way for the hard earned money he has put in buying that property. The very first step that a buyer should do is to send a notice to the developer or builder of the property in case of delayed possession, poor quality of work or fraud in which he claims the refund and damages to the loss he has incurred due to that delay. After the notice has been sent the next step that a buyer may take is to file a consumer complaint within a period of 2 years from the date of a dispute under consumer protection act 1986. The state consumer forum has jurisdiction over disputes which exceeds an amount of 20 lacs up to 1 crore. The national consumer dispute redressal commission (NCDRC) entertains matter exceeding the amount of 1 crore. 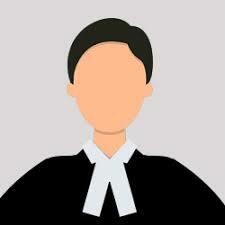 A buyer can also approach criminal courts under IPC 1860 for cheating, breach of the agreement. One has the option to sue the defaulting party in buyer developer agreement for either refund and damages or fulfillment of terms of the contract. If you have been deceived by a developer, or have received a notice under the consumer protection act 1886, you can always approach Lawtendo for legal support to get in touch with experienced Builder Dispute lawyers in jaipur. Lawtendo provides legal services and advice for buyer-developer conflicts in jaipur with the help of highly qualified lawyers in the field. Lawtendo will help you instantly connect with the experienced team of lawyers who can help you get past the tedious process of recovering the money from builders.